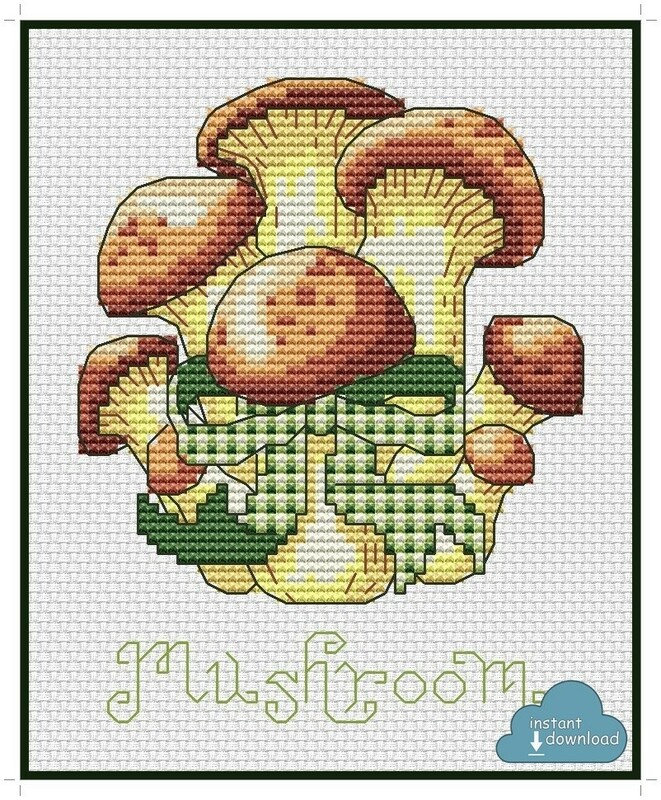 Mushroom Cross Stitch Pattern PDF + XSD. Instant Download. Bright, ripe, juicy, mouth-watering, fresh – all of it in a new series of vegetables design. Vivid colors. Easy to finish. You can choose one design or make your own collection of TEN of them– it’s all up to you!